Counting money is an important concept. 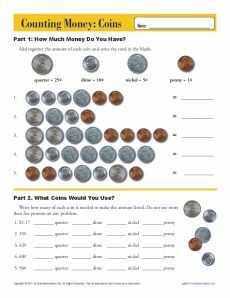 Your little one can practice counting change with this worksheet. It's great practice for Common Core Standards for 2nd grade Measurement and Data, although other students may also use it.